Buying the right double bass strings is important in order to play beautiful music. To help you find the best strings for your double bass, we have reviewed and ranked the best double bass strings available on the market below. 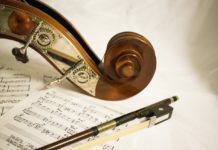 Bass strings are one of the most important parts of the double bass as they, when combined with a bow, produce the deep sounds that double basses are known for. In order to get the best sound, you need the best double bass strings. 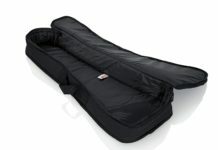 Given how unique each double bass is, there is no one “best double bass string” solution. 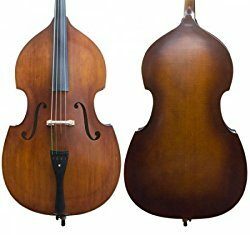 It is best for you to try out several different upright bass strings and keep track of which ones work well with your bass. Our list below includes many bass strings that are frequently rated the highest by players, but you may need to try several upright bass string brands to find the bass strings that make your double bass sound amazing. Below is a list of the top double bass strings that we have ranked based on multiple factors including playability, durability, sound quality, and price. While these are our favorite bass strings, you may find that different strings sound better with your bass. We suggest that you try many different types of bass strings in order to find the best ones for you. Many bassists don’t just choose one brand of bass strings for all four strings. Some strings sound better with one string brand than another and sometimes it takes experimenting to find the best combination. Our favorite combination is Spirocore C extension E, Permanent A, Passione D, and Passione G.
Each brand of bass string will bring out different qualities in your instrument and many people like to mix and match string sets. In our “Popular Bass String Combinations” section below, you can see how people tend to mix bass string sets. As we mentioned above, we highly recommend trying out different brands of bass strings to find the best match for your bass. However, experimenting can get pretty expensive, so we recommend evaluating your budget for bass strings and adjusting accordingly. Even so, if you are a serious player you will want to find the right fit for your instrument and playing style. 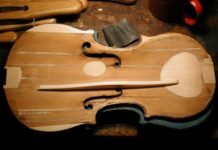 Gauge/Thickness: Bass strings come in many different widths and gauges (thickness) which impacts the tone of the sound from both the bow and pizzicato. This is one factor you’ll definitely want to experiment with since different these differences are amplified on an instrument as large as the bass. The material of the string impacts the sound. Most bass strings are made out of synthetic materials wrapped in steel, but there are still some strings that use sheep gut as a core. Price: Strings are expensive, there’s no way around it. Typically having to be replaced at least once a year and cost at least $200 on average for a full set, bass strings aren’t easy on the budget. It’s important to find a balance between sound and price while searching for the perfect bass strings. 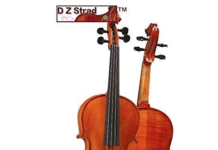 Recently, European strings, such as Evah Pirazzi, have become 30-40% more expensive than their American counterparts. Different types of strings are better for certain playing styles. 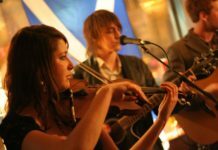 Depending on whether you are playing in an orchestra, a jazz band, or bluegrass group, different strings are recommended. 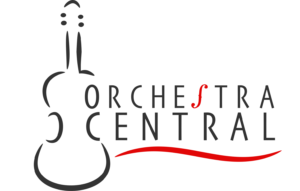 If you’re playing the upright bass in an orchestra, you will need strings that sound nice when played with a bow, but also sound nice when played with pizzicato. 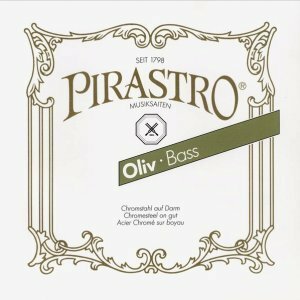 Many bass strings that are intended for orchestra playing, such as Pirastro Permanent, will have “Orchestra” in their name or description in online stores. With jazz and bluegrass music, players are typically plucking the string, so strings that have a nice sustain or “growl” are preferred. 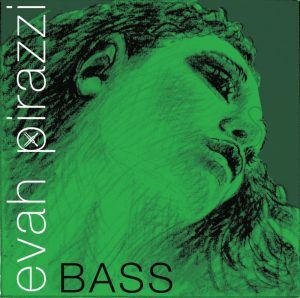 Evah Pirazzis provide a great sound when plucked and do not “thud” as some other bass strings do when plucked. While there are a lot of options for strings and you may feel perplexed at this point, this guide will help you select some starting varieties that will let you experiment with the sound of your double bass. 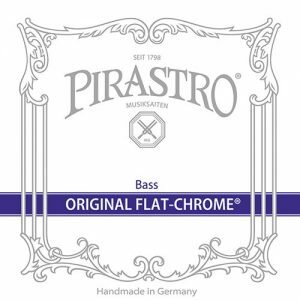 The Pirastro Permanent bass strings are an excellent choice for most bass players. They are a moderate bass string, so they aren’t exclusively for orchestra or jazz and function well in both settings. They have a comfortable amount of resistance under the bow and strike a good balance between robustness and flexibility. The Permanent bass strings tend to be a little stiffer than most other bass strings. This stiffness provides presence and power to the bass, but the tradeoff might be a little less response. 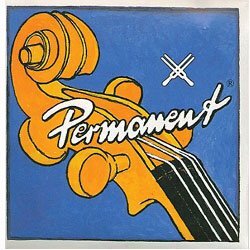 Permanents also have a great pizzicato sound which is why they are often used for Jazz. Again, strings sound differently depending on which instrument they’re on so we recommended trying these strings along with other bass strings to make sure you have the right strings for your bass. The Permanent E is often paired with other string sets since it has a better sound. One common combination is a Permanent E with Flexocor Originals for the G, D, and A strings. Originally designed as bowing strings for orchestra, the jazz community has adopted Evah Pirazzis due to their warm sound during pizzicato. They have a gut like sound when attacking. Though synthetic core and steel wound, they have the durability and stability of steel strings. These are our #1 ranked hybrid strings. While the Evah Pirazzis are fine to bow with, most orchestra members will probably not like these strings compared to others on this list. 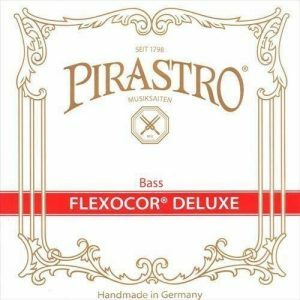 The Pirastro Flexocor Deluxe bass strings are fairly new to the market, but have gained a lot of popularity over the last few years. While similar to the plain Flexocor bass strings, these might be a little more responsive or easier to start than the regular Flexocors. These strings respond well to orchestral bowing, providing a nice and even sound that works well with many setups. They have great playability with unmatched projection. The strings themselves are made from rope core steel strings to provide durability, allowing them to last a long time. Thomastik “Spirocore Weich” strings are extremely versatile. Mostly used by jazz players, they still sound great with a bow. 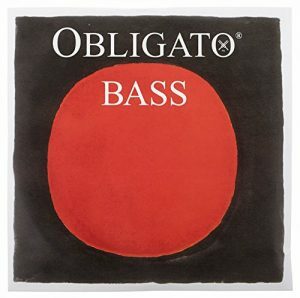 They are great hybrid bass strings for players who usually play pizzicato but also need to sound good with the bow. In addition, they work well on a wide variety of basses. Amongst popular jazz bassists they are recognized as “the standard” against which other bass strings are evaluated. 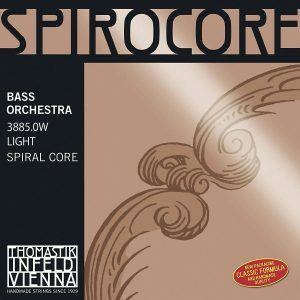 The Spirocore strings are a steel string and of light gauge (“weich” means soft ). 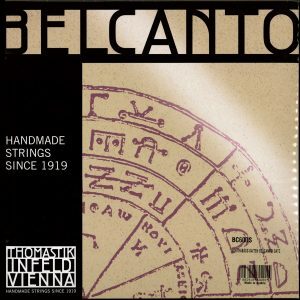 To learn more about these strings, visit the Thomastik Infeld website. 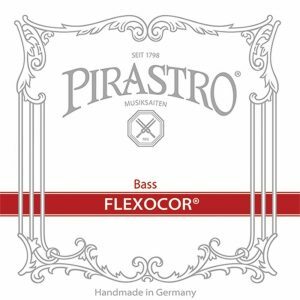 Pirastro Flexocor (original) are the perfect middle-of-the-road bass string. If you aren’t sure about which bass string to try, the Flexocor makes a perfect beginner bass string. They sound great and are extremely durable, lasting a really long time compared with other strings brands. These strings have an unmistakable “growl” to them in arco playing and a wonderful chocolatey sound. They sound great and are extremely durable, lasting a really long time compared with other strings brands. These strings have an unmistakable “growl” to them in arco playing and a wonderful chocolatey sound. Unfortunately, these strings may not project as well in large spaces, but they will still sound great. The original Flexocor strings aren’t as responsive as the Deluxe version above, but when you’re just starting out, this doesn’t matter very much. This resistance is also why they do not make great jazz strings. The Belcantos are very similar to Flexocor strings above, with the main differences being that they tend to respond a little quicker and be a bit brighter, but not by a wide margin. They do take some getting used to though. Their sound is almost “buttery” when paired with the right instrument and are quickly becoming a favorite among orchestral bassists. 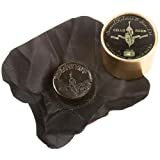 In terms of price, Belcantos are more expensive than many other popular American brands and they tend to wear out faster than other popular brands, which may be a factor if you’re on a tight budget. 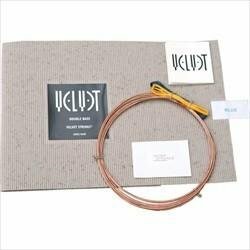 One of the lowest-priced bass strings on this list, the Velvet Blue bass strings are amazing pizzicato strings. While you can bow with them, it is not recommended past a few lines of notes. Velvets sound and play like a gut string and they tend to be lower in tension. 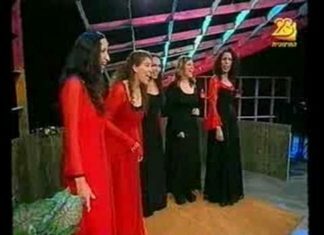 They have synthetic cores which gives them a radically different in sound and response to steel strings like Spirocores. These strings are classics. Similar to the Original Flexocors, these high-tension strings produce a magnificent sound in the lower register, but are often strained in the upper registers. These strings really require the right bass to sound nice. They often do not work on cheap basses where they can sound pinched or be completely unplayable. Another hybrid string that is typically used in orchestra settings. It is a little mellower and more flexible under the fingers than most of the strings on this page. In fact, some players find the fact that these strings twist under their fingers irritating. 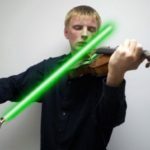 They also tend to lack the volume and projection of more “robust” strings. The strings are medium gauge and are made by hand using modern manufacturing techniques and strict quality control. Yet another Pirastro bass string on this list. The Oliv model of bass string is certainly the most expensive bass string on this list, but they make up for it in quality. The inside of the strings is sheep gut which is wound with steel. The sound provides a warmth and depth of tone that is unmatched. The downside is that gut strings have less stable tuning than steel or synthetic core strings, but Oliv do stay in tune a lot better than most gut strings. They also lack the projection of pure steel strings. Now that we’ve told you about the bass strings we recommend, we will tell you about bass string brands that you should avoid. Eudoxa – Besides being really expensive, they are essentially sound the same as the Olivs. In addition, they break very often. Expensive and frequently break – not a great combination. Red Label – These are by far the worst strings on this page. They should be avoided at all costs. They cheaply made with nickel windings and the price shows. The fact that you can buy bass strings for under $100 shows how poor quality these bass strings are. 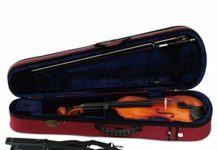 Jargar Strings – While generally great strings for violin, viola, and cello, the Jargar bass strings just don’t cut it. This is just another bass string that has faded in popularity over the years and the quality has degraded.